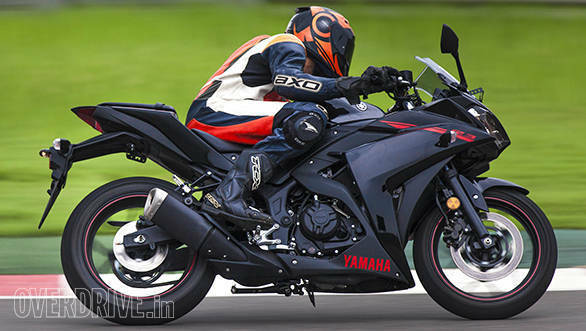 It's been eons since Yamaha launched something exciting for the enthusiast (not including the ultra pricey R1 and R1M). Finally, there's something that the average motorcyclist can look forward to in the new R3, Yamaha's entrant in the hot new small capacity segment. 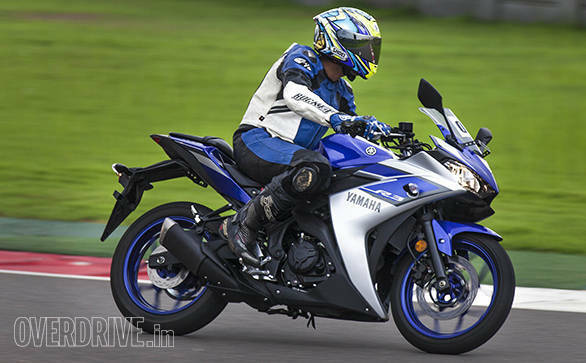 We just had a handful of laps on the new Yamaha at the BIC and here's what we discovered. Walk up to the bike and everything seems of high quality from the feel of the plastics to how they merge with each other. When it comes to build quality, the R15 proved that faired bikes can be built well and remain rattle free. The R3 continues in this tradition and if anything, it feels even better on every count. I wasn't entirely sold on the styling in the pictures but in the flesh, the R3 is a handsome machine, especially in the shade of blue. The black is a little incognito and if you like your motorcycles to blend into the crowd, this is the colour to go for. It isn't a very large machine but there are some styling cues that will help it stand out. 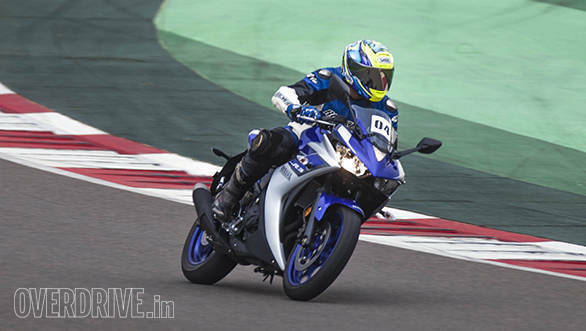 The sharp dual headlamps add some aggression while the sharp tail are influenced by the new R1 and in my opinion is the best looking angle on the bike. Hop on board and you're greeted by a very friendly riding position. 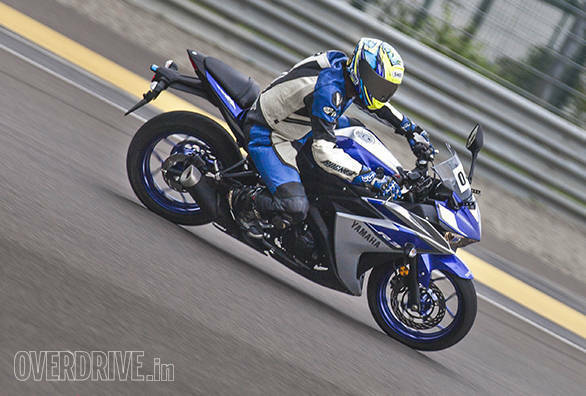 It feels sporty without being excessively raked forward and overall it's a much kinder position than the R15. 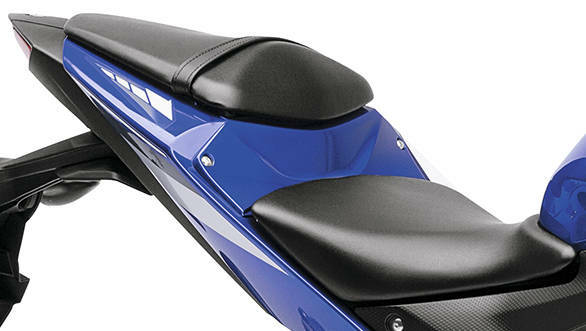 Shorter riders will appreciate the low 780mm saddle height and the seat isn't very wide so both feet can comfortably touch the ground. I'm on the taller side but even I found that I fit on the bike just fine without my knees hitting the bars. 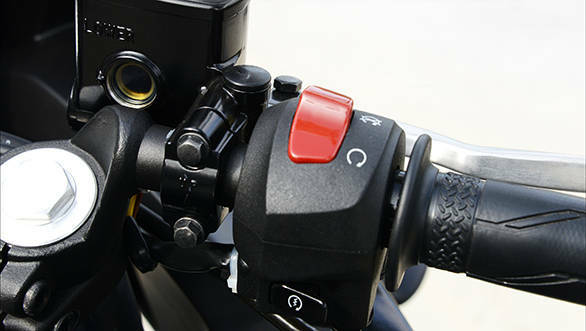 The handlebars are wide which should make for easy manoeuvrability at low speeds. The rider's seat is flat and firm which may take a while to get used to but in our experience these seats are kinder on the bus for longer durations in the saddle. 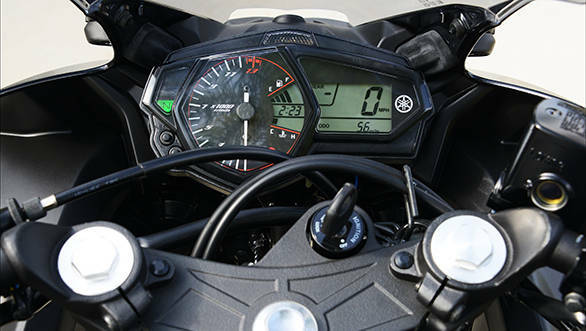 The instrument cluster is a familiar design with a large analogue tachometer flanked by a digital display on the right, again very similar to the R15. The display, however, is much more comprehensive than the R15s and offers two trips as well as fuel consumption data. Switchgear and the quality of all the metal bits is top notch. Thumb the starter and the engine quickly fires settling into a low and smooth hum. Being a short stroke motor, I expected more urgency out of the revs when you blip the throttle but it appears the engine has a lot of potential but has been tuned more for an easy nature, longevity and refinement. And that it is, feeling very smooth and creamy without making much noise. If you want a loud bike you're going to have to add an aftermarket exhaust. Clutch action is light and progressive and the throttle openings are greeted with smooth forward motion without any jerkiness. We only got a small handful of laps but in that time it was evident that this engine produces a linear and progressive power delivery. There are no sudden surges and power just builds gradually getting stronger after 6,000 rpm. The tachometer is redlined at 12,500rpm and the engine will rev to over 13,000rpm. It's impossible to tell how absorptive of bad roads a motorcycle can be based on a few laps at a racetrack but the R3 seems to be quite supply sprung. I think it will be quite a comfortable ride on our roads but we can only confirm that in due time. As for how it handles, I immediately thought of the R15 after a few corners. The R3 with its non adjustable, right side up front suspension and preload adjustable rear shock offers the same inviting, stable and superbly confident feel of its younger sibling. It's a very approachable motorcycle that works with you in the corners. Turn-in is quick without being intimidating and once in a corner the bike feels stable and sticks to the line you've chosen. 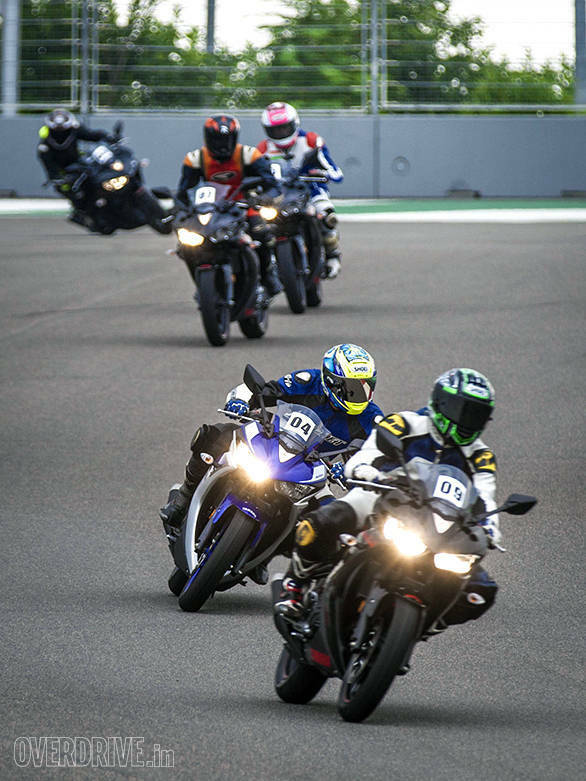 The stock MRF Zappers do tend to feel a little at a loss when you really start to push at the limit but for a majority of riders and riding conditions, these tyres should be more than sufficient. 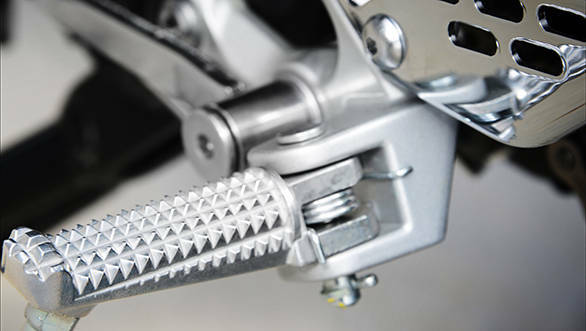 Not to mention they will be quite affordable to replace compared with the sticky but pricey Metzelers on the KTM. The R3 is a thoroughly convincing motorcycle. It's been priced well at Rs 3.25 lakh ex-Delhi which makes it significantly cheaper than the Rs 3.6 lakh Ninja 300 but still over a lakh more than the RC 390 - what you're paying for is an extra cylinder and excellent overall quality. The R3 has a lot going for it. It's a lot like the R15 in its nature and that's a very good thing. And this also makes it a very different motorcycle from the aggressive and demanding RC 390. It is lacking, though, in the cool bits - upside down forks, radially mounted brakes, ABS or a slipper clutch are absent. However, if you like your motorcycles smooth, refined and capable, this may be just what you're looking for.